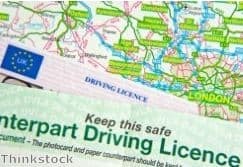 The Freight Transport Association (FTA) has welcomed the latest announcement from the Driver and Vehicle Licensing Agency (DVLA) regarding the upcoming abolition of the paper counterpart driving licence for all vehicle operators in the UK. Originally planned to come into effect from January 1st, the abolition of the paper counterpart has now been pushed back to June 8th – ensuring the government and the DVLA will have enough time to complete the development of new online systems for the effective management of driver licensing. FTA director of policy Karen Dee stated: "FTA was given assurances by the DVLA that the removal would not happen until such a time that an alternative was in place that satisfied the requirements of business. "[The] announcement … demonstrates that ministers have listened to industry's concerns and we look forward to working with [the] DVLA to develop a system which is fit for purpose." She added that holding off on the abolition of existing methods for licensing is a shrewd move and the correct decision that will ensure a smoother transition to new systems when they are finally ready to be implemented. "FTA members are keen to have electronic solutions to administrative processes – but they have to be right, and they have to make the job easier, quicker and cheaper," Ms Dee concluded.